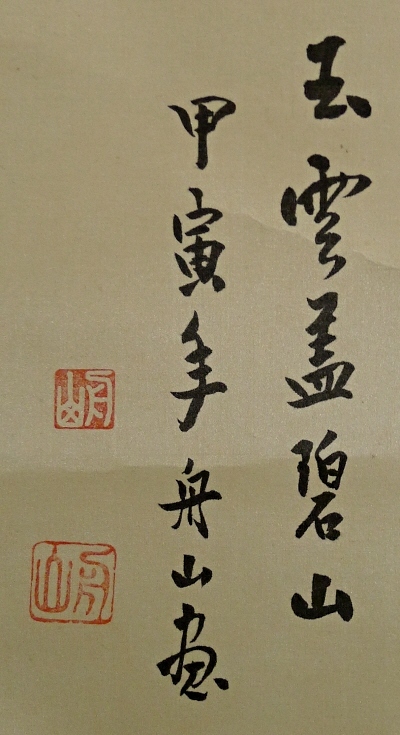 Description This scroll was drawn in 1974 or 1914. 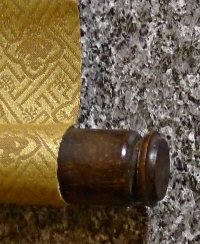 The mounting is neat, though, there are some spots and folds on the painting part. 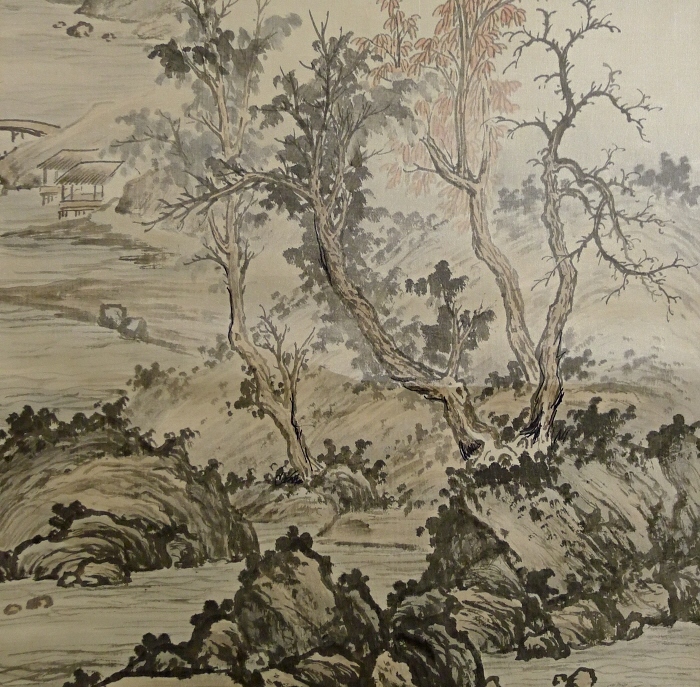 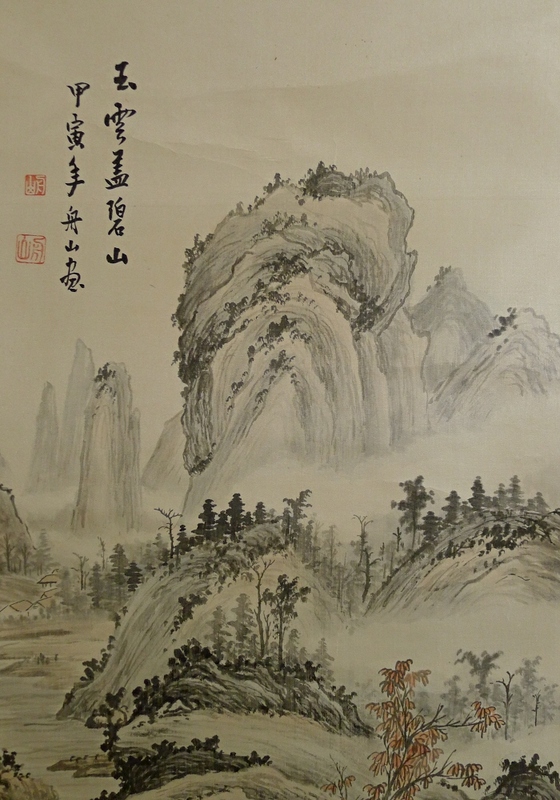 A grandiose mountain landscape is drawn in the Nanga painting method.